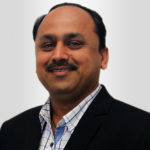 Santa Clara, CA, October 8, 2018 – SuperbCrew – a prominent business news website covering innovative technology and internet companies – sharing news, experience and knowledge from the tech and business world, recently interviewed VOLANSYS Co-founder and EVP Sales & Marketing – Bhavin Shah on 10th anniversary of VOLANSYS. Q: Could you provide our readers with a brief introduction to VOLANSYS? A: VOLANSYS was established in 2008 by two seasoned engineers aspiring to be entrepreneurs having the zeal to create a platform where technology& talent blossoms with an open Silicon Valley enterprising culture that rewards self-development and innovation. Being in business with an average of higher double-digit growth YOY for more than a decade, we have successfully helped hundreds of clients globally through bleeding edge technologies. We have served 15+ fortune 500 customers including some of the world’s best Semiconductor and Consumer Electronic Brands. We are the world’s one of the best IoT Services & Solution providers thriving to capture major market share by 2022 in the area of Connected & Embedded Products. Our portfolio of services and solutions is very rich in nature and capable to serve various industries that cover millions of use cases. Our investment in creating reusable IPs & solutions in various technology domains enables customers to leverage for lower efforts, greater predictability, and faster Go-To-Market capabilities. We act as a “single-stop-solution-enabler” to bring ideas to life. We envision our next decade continues to be driven by phenomenal growth for our employees and amazing business success and technological advancements. Q: You’ve recently been awarded a prestigious ISO 9001:2015 Quality Management System certification; could you tell us something more? A: International Organization for Standardization (ISO) 9001:2015 is the latest revision of international standard on Quality Management Systems, which is widely applied across the world and link business objectives with operating effectiveness. Achieving prestigious ISO 9001:2015 certification has demonstrated our commitment to becoming more professional in bringing consistent high-quality deliverables with clear, measurable and controllable processes. Q: What kinds of services do you offer to your clients? Q: What do you think makes your company stand out from its competition? A: The disruptive technologies such as Embedded, Cloud, Analytics, IoT, and Automation, are far-reaching to the inflection point. We are the defacto choice for world’s topmost IoT Products Brands. Which means that these technologies lie at the core of any enterprise that is trying to reinvent itself. As the demand for these services increase, VOLANSYS Technologies stands out with accelerated evolution into next-generation technology services companies. At our size, we are among very few companies who can be one-stop engineering and manufacturing partner for full fledge IoT Product/Solution starting from the sensor to gateways to cloud to mobility to analytics to AI and Machine Learning. With the alignment of our Product Engineering services, Digital Transformation services, and our own solutions, we deliver three directional spotlights on the existing core of their business, new growth areas as well as the ecosystems of the future. We accelerate high growth business opportunities at the inflection points across industries with our Digital Transformation Services, which are an immediate and high growth opportunities. Q: What’s the biggest risk associated with the Internet of Things? A: Security: The Internet of Things brings together every aspect of different networks. Consequently, security is critical for the operation of IoT application at both the end-device and network levels. Any IoT application has the potential to scale up attack surface for any kind of a cyber attack. The risk is going to be a dispersed attack on a lot of things. Lack of Data Protocol Standards: IoT solutions are heavily customized and not yet standardized across the value chain. There is no standard data protocol to implement IoT solution. It is a constant struggle for many organizations to identify correct protocols for additional data that is being gathered. Also, there are millions of use cases. Each use case has multiple solutions. It is challenging to examine the right solution as there is no standardization in many technical areas of IoT implementation. Q: Can you provide some real word use-cases of your products for secure IoT solutions? 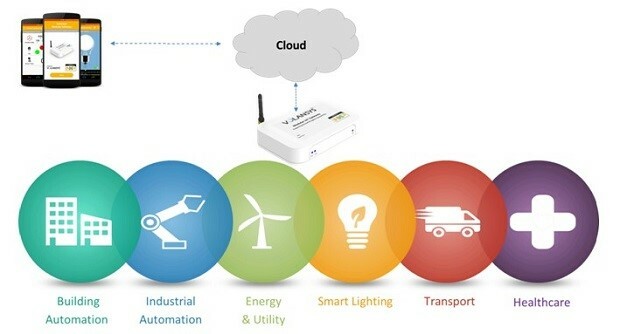 Modular IoT Gateway: An advanced, smart, customizable, multi-service reference platform based on VOL NXP i.MX6UL/i.MX6ULL SOM to design N-node IoT solution with multiple RF connectivity, control options (mobile app, voice & wearable) and leading cloud integration. It is flexible enough to design customized IoT solutions for industries ranging from commercial lighting, building automation, smart industrial applications, smart cities, oil and gas, and agriculture. Q: You’ve announced an IP driven test automation framework, Volanium for end-to-end testing; could you tell us something more? 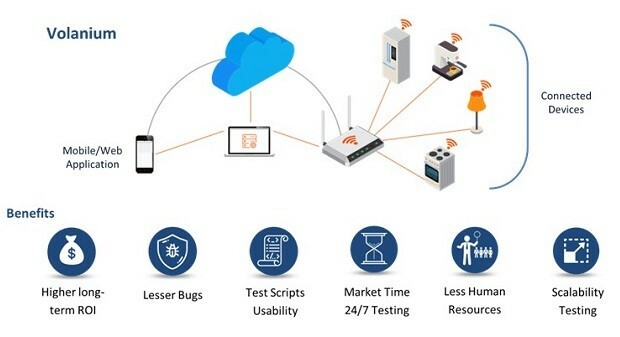 A: One of the biggest challenges in IoT product testing is the End to End Testing for IoT Ecosystem. To address this challenge, we have come up with the solution, our in-house Automation Framework Suite – Volanium. The entire framework suite is a collection of four frameworks: Volanium-M (Mobile), Volanium-C (Cloud), Volanium-W (Web), Volanium-E (Embedded). These sub-frameworks are designed in such way that it can be used for end-to-end system/multipoint validation framework as well as a standalone framework to validate the individual components like Mobile Application Testing, Cloud APIs Testing, Web Application Testing, and Embedded Device Testing. Volanium Automation Framework is flexible to the user to validate the complete end to end test. In this way, it helps the user to have faster test turn-around time for the final release of any application. A: “We plan to strengthen our Product Engineering Services while forging expansion into new markets and by digging further into existing markets. Our organizational penetration into new technologies and markets does not mean losing the relevance of existing products but implies the adoption of new technologies to make existing even more relevant.